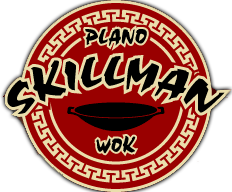 Online ordering menu for Skillman Wok. We strive to bring you the most authentic style Chinese cuisine using only the freshest ingredients. We make all your Chinese favorites including General Tso's Chicken, Beef with Broccoli, Shrimp with Lobster Sauce, and many more! Place your order online for delivery or carry-out! We are located on Coit Road near the U.S. Post Office.